That's a good £30 off the usual price. From the Boxing Day PC gaming deals we've seen break out today, the most interesting choices are so far going in SSDs and headsets. 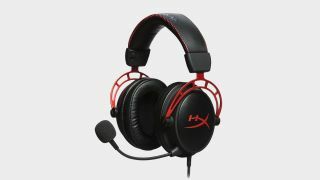 Currys in particular is discounting some of our favourite gaming headsets, and one of the better impulse-level buys is this £60 HyperX Cloud Alpha Gaming Headset. This headset is currently ranked at number four on our list of the best available, with our expert Phil Iwaniuk calling this "A well rounded, well-balanced vessel for game audio." It's a great choice if you don't want to break the £100 mark for a decent headset, in other words.